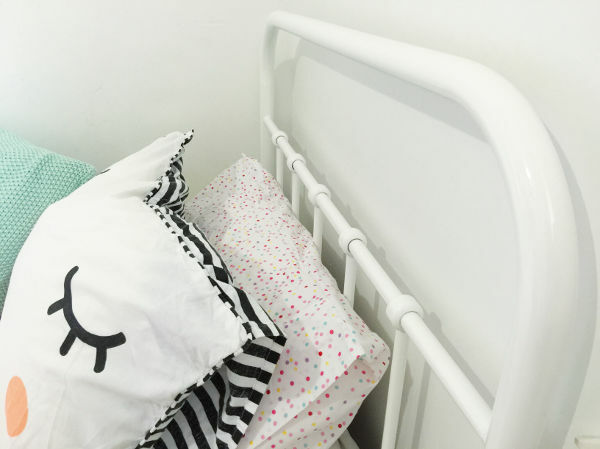 When it comes to furnishing a family home, it’s all about affordability and durability. 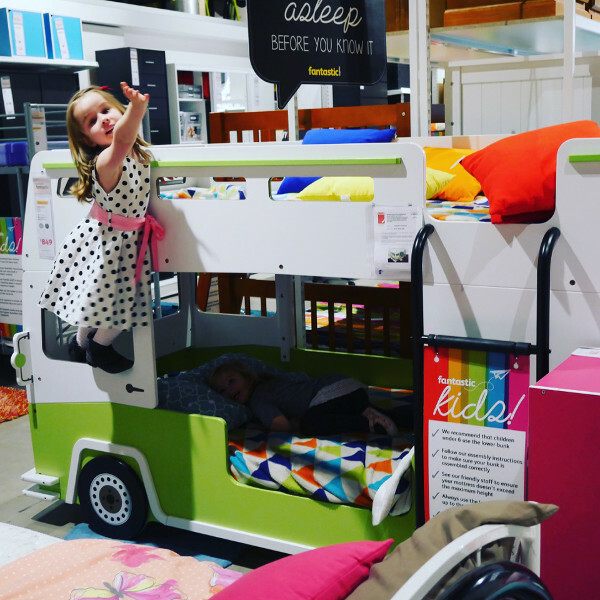 We let a few members of our influencers panel (and one very lucky writer) run riot in Fantastic Furniture, gathering goods to give their children’s rooms and homes that extra flourish – without breaking the budget. Come and see our room makeovers, and find out what we really thought of what we found at Fantastic Furniture. When it comes to a descriptive title, Fantastic Furniture has the market cornered. 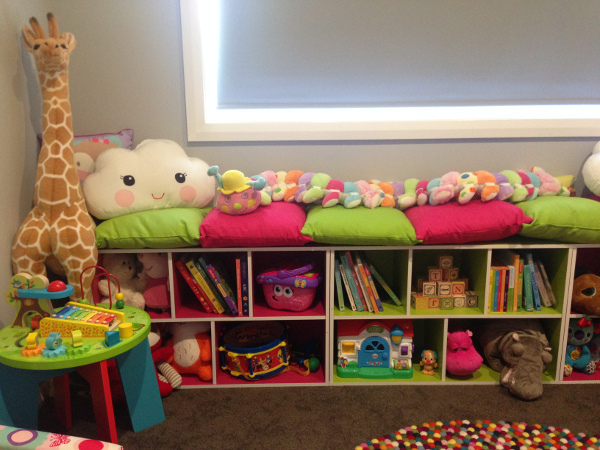 Australian owned and operated, Fantastic Furniture’s range has almost every corner of the house covered. 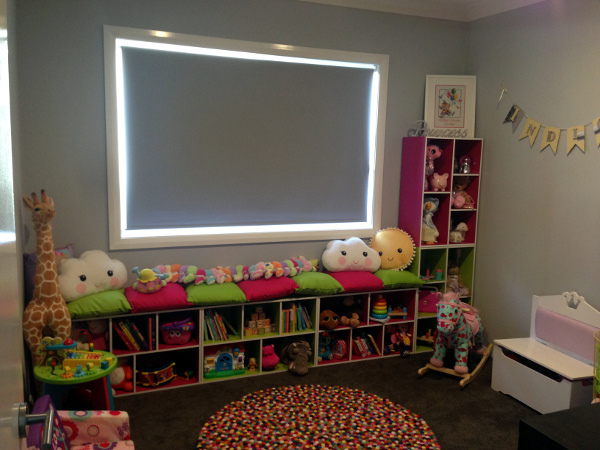 That includes Australian made sofas and mattresses and bedroom furniture for kids and adults. 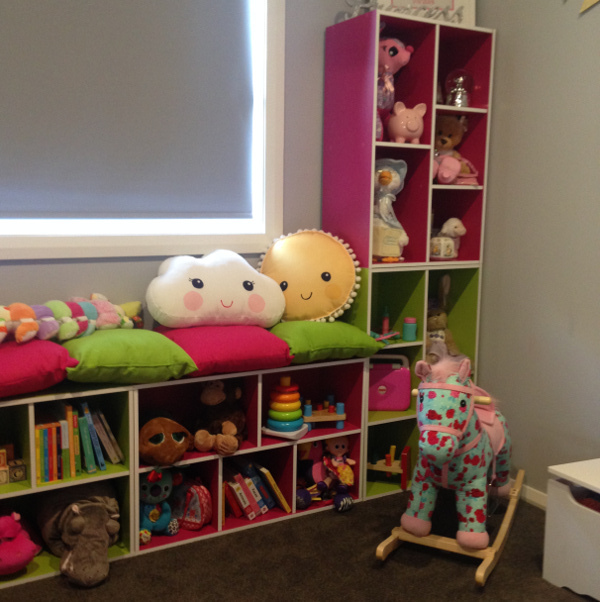 Jo from iCurvy, who’s known for her on-point styling, decided to tackle her toddler daughter’s play space. She wanted bright and bold storage, so naturally gravitated towards the Buzz Storage Units, which she found to be high quality, and easy to put together. Jo says she did have some concerns that she and her husband would end up in a flat-pack hell of their own making when putting together the shelving. “The flat-pack instructions were so easy to follow. Hubby and I were more than prepared for the ‘flat-pack argument’ but it never came. Five shelving units and five storage boxes assembled in nothing flat! Jo was concerned the units might not be finished in a way that would allow different configurations, but was pleasantly surprised. 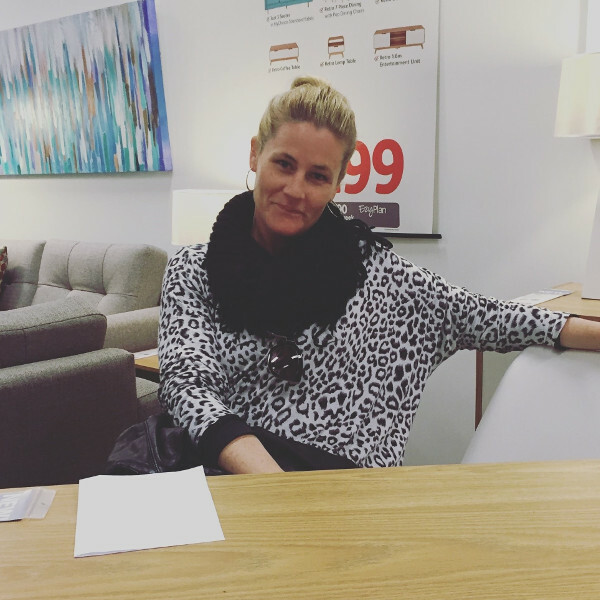 We also let one of our favourite ex-Blockheads, Katrina Chambers loose in her local Fantastic Furniture store. We adore Katrina’s style, and her beautiful home, and she was easily able find some furniture that would suit her space perfectly. 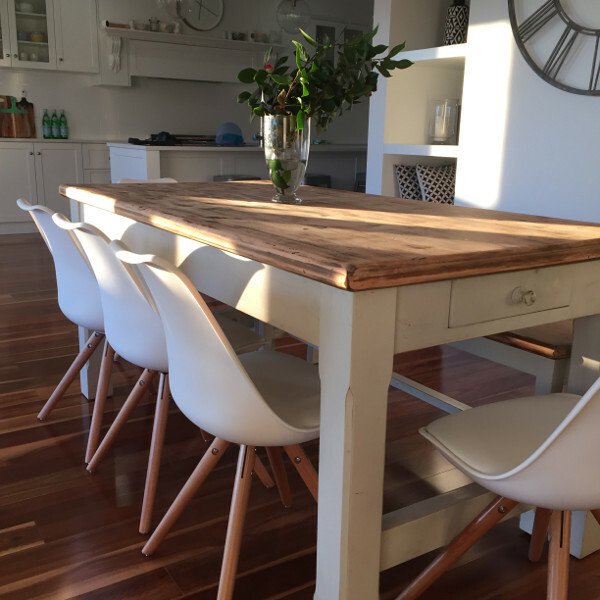 She snapped up a set of mid-century inspired Pop Chairs to adorn her dining space, praising their quality and affordability. Katrina’s also pleased that these sturdy seats will stand the test of time in her boy-dominated house. Katrina did mention the chairs were time consuming to assemble, but would be happy to recommend Fantastic Furniture for its value for money and on-trend style. 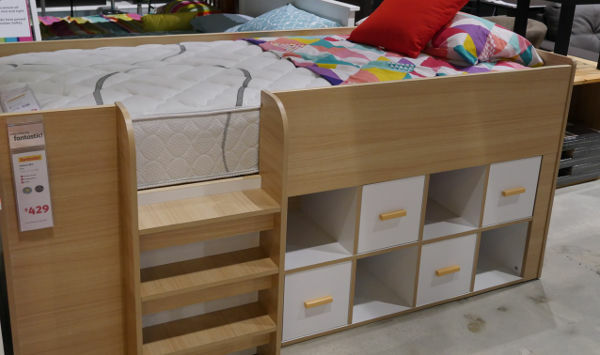 One of the things Fantastic Furniture is well-known for is its incredible range of children’s beds. My sons have been begging for bunk beds forever, so they loved coming with me to choose a set. 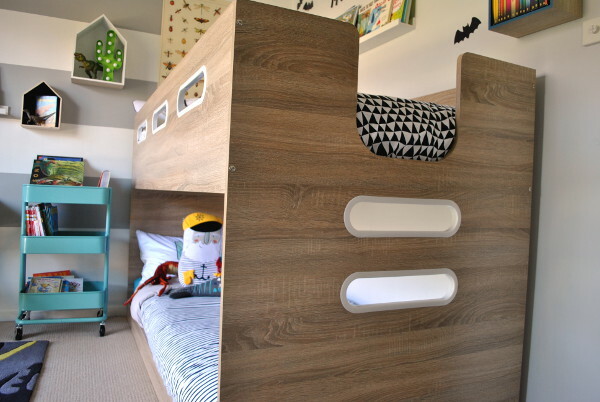 I’ve always been wary of bunks for smaller children, but knew as soon as I saw the Cubby Twin Bunk that it was perfectly suited to younger kids. 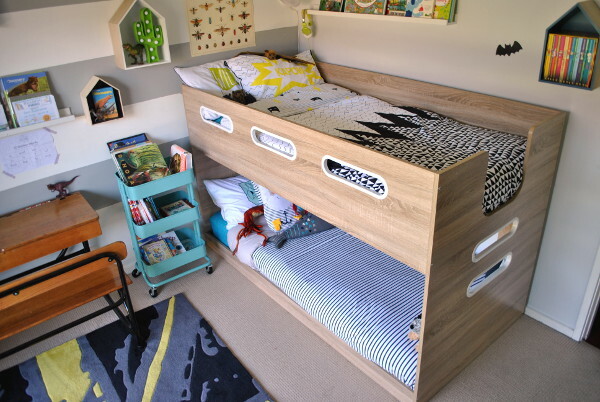 It’s quite a low bunk, and I can easily reach the top to tuck my eldest in. The staff couldn’t have been more accommodating, taking me through all of the bunk options (and there were lots). But my boys were set on the Cubby. Even though this was a larger piece of furniture, and I live in a regional area, it only took a week to arrive. I charged my husband with the task of putting it together, and he was genuinely surprised at how easy it was. 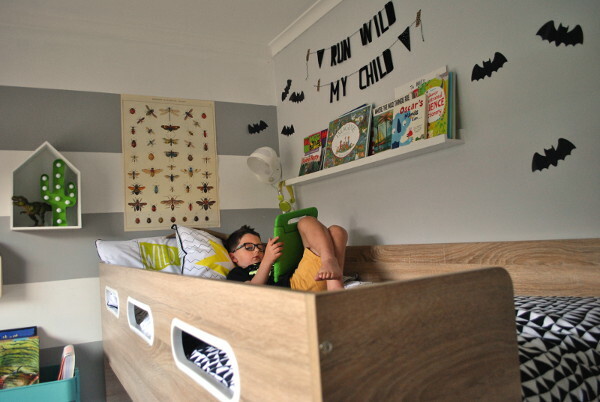 He says the instructions were super easy to follow, and the result is a very sturdy and stylish set of bunks. I can vouch for the affordability of this product, which looks like it cost a lot more than its sub-$500 price tag. 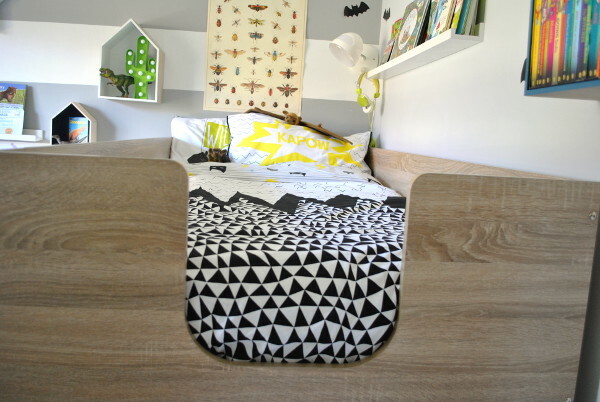 The Cubby suits a space-poor area, because it’s incredibly compact, with an inbuilt ladder. 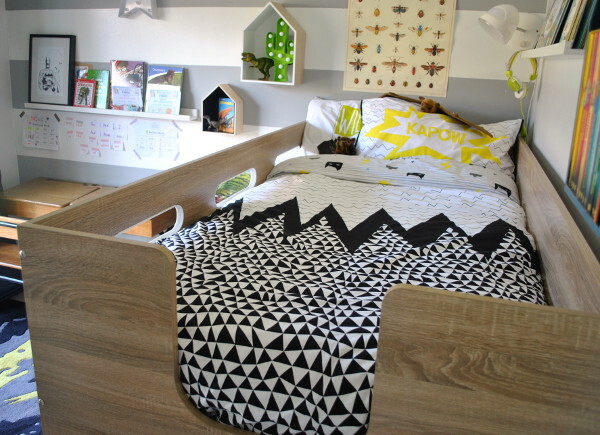 The finish is high-quality, and everyone who has seen it in my son’s room thinks it’s gorgeous. It goes without saying I’ve happily recommended Fantastic Furniture to my friends – most importantly because it has the holy trinity when it comes to our family’s purchases – style, quality and affordability. 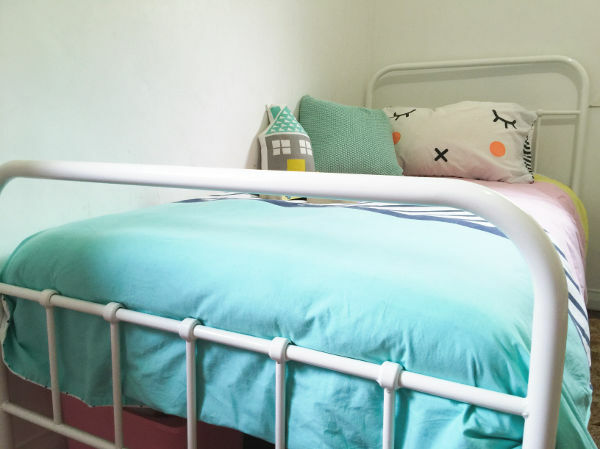 We managed to pin down jet-setting Cheree from Oh So Busy Mum, so she could try her hand at some Fantastic Furniture kids’ room styling. 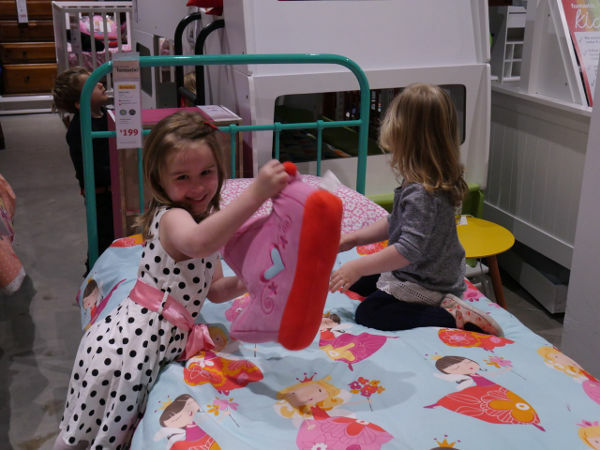 Cheree decided to try out the Willow Single Bed, which is a beautiful nod to children’s beds of yesteryear. 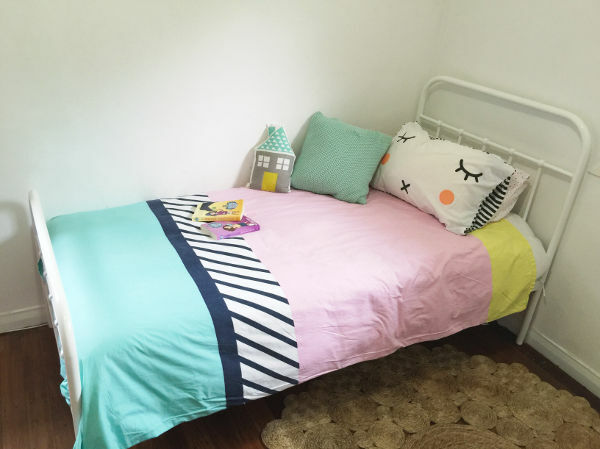 Cheree says she was able to put together the bed on her own, with no trouble, with clear, easy instructions making it a cinch. Having bought from them before, Cheree says these latest purchases only cemented her thoughts on the store. 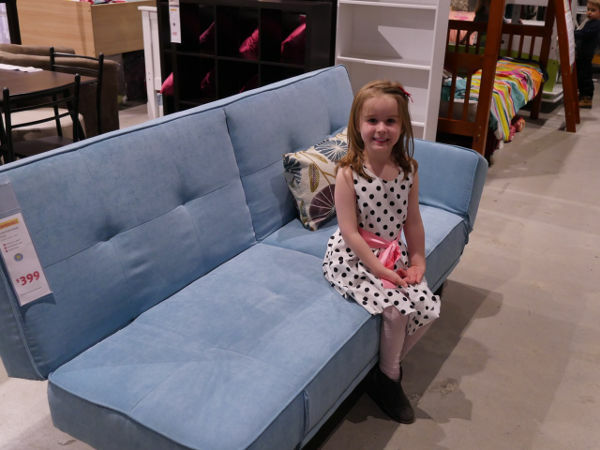 Nicole Cubbin from Little Eats Sydney took her three and five-year-old daughters to explore her local Fantastic Furniture store, and they had a ball! She admits she wasn’t expecting the experience she had at the store. Nicole was keen to source furniture for her spare bedroom, keeping with a sleek, modern theme. Once again, the furniture packed a punch, without a price tag to match. If you’re keen to explore their great value bedding and furniture, head to your nearest Fantastic Furniture store.